In the vein of Herve Tullet, this stunning, large-format activity book is stellar quality for kids who are serious about their art. And squiggles. 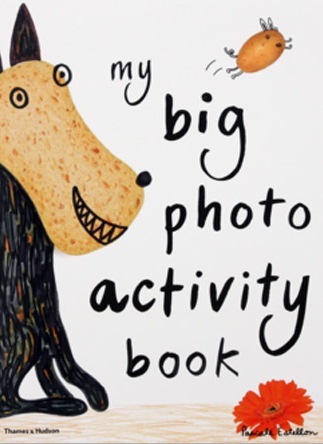 Author/illustrator Pascale Estellon has created a stunner of a book that’s as much a coffee table tome as it is a magnificent stack of pages designed to send your child’s creativity into overdrive. Featuring a plethora of photos and squiggles to make anyone smile, kids are invited to first turn a scouring pad and a sponge into an animal. They are then invited to draw the other half of photographed faces. They are invited to fill in the gaps between fox ears and some ruby red lips. They can make a class photo out of rubber band heads and decorate shop bags and t-shirts. They can even create book covers. Indeed. I guess I have to get over it. 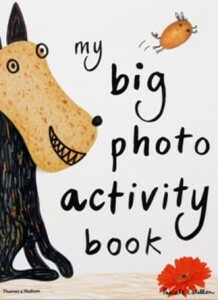 My Big Photo Activity Book is published by Thames & Hudson.